Known throughout the world for its welcoming people, spicy cuisine, ancient culture, outstanding beaches and natural beauty, Thailand offers the complete package for visitors. Although the weather varies throughout Thailand, you can visit all year round with much of the country experiencing a typically tropical climate. Many believe the cool and dry season, between November and early April, the best time to travel through Thailand. In the south, the climate differs between the eastern and western coasts. The west coast is more favourable during the (northern hemisphere) winter months when diving and snorkelling will be at its best. The weather on the east coast is suitable for most of the year, with the lowest rainfall in January and February and the highest in November. If you’re looking at Thailand as a possible overseas retirement destination, then it’s sensible to see Thailand through its diversity of seasons. 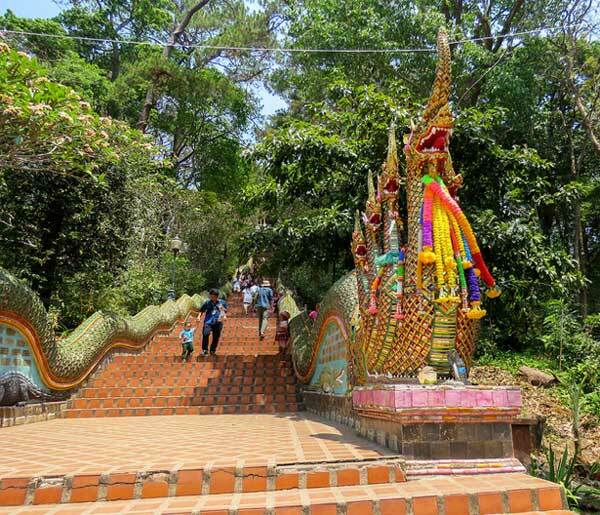 Thailand’s high season, November to February, sees the most tourist visitors. The weather is generally at its best throughout the country thanks to the northeast monsoon blowing cool, dry air that serves as a respite from the hotter months. During this milder season, the temperature ranges from 18 to 32 C in Bangkok, while in northern and northeast Thailand, temperatures can get quite chilly with morning temperatures as low as 8 to 12 C with the occasional 20 C day. Nights can be unusually cold at the high altitudes where temperatures can and do drop below freezing. In northern Thailand dry season is between November and May; June to October is characterised by heavy rainfall and temperatures are cooler between October and January. The south can be split into two: the wettest months on the west coast are between April and October; while the east coast experiences heavy rainfall from September to December. During the rest of the year, the dry and sunny weather is the order of the day. When referring to the northwest region, we are talking about the Chiang Mai and Chiang Rai areas in particular. The northeast is the Issan or Udon Thani region. The central part focuses on the Kanchanaburi (River Kwai) region and the central plains around Bangkok. In the north of Thailand, the dry season runs from November to May/June, with little if any rain expected throughout the region for much of this time. After the colder winter months, from mid-January temperatures start to rise, peaking between March and May when it is not unusual for the mercury to break into the high 30’s C and even 40 C especially in the central regions. These sky-high temperatures can last well into the rainy season, however with the rain comes cloud cover and a rise in the humidity, making travel less comfortable. The south-west monsoon usually arrives between May and July. Initially, the rain often comes in the form of short downpours, lasting an hour or two, clearing the way for warm, clear skies. As the rainy season progresses, the rains can become more substantial and more constant, traditionally reaching peak levels in August and September. In the early wet season (June to August) temperatures generally remain high (avg daily temp: 28 °C-34°C), although they drop dramatically in the winter months of October and November. By November, the rainfall and hot, sticky weather will have decreased significantly, with dry weather returning for the next six months. From October to January, temperatures can be relatively cold, especially in the north of the country at higher altitude (avg daily temp: 17°C -26°C). Throughout the region at this time of year, evenings can be chilly due to the lack of cloud cover and the temperatures relatively low. Thailand’s east coast has three defined seasons. From December to February you can expect good weather, with little if any rain, and refreshing winds helping to keep temperatures more moderate. Because of the winds, the sea can be a little ‘dynamic’ creating ideal conditions for water sports enthusiasts with kite surfing very popular. 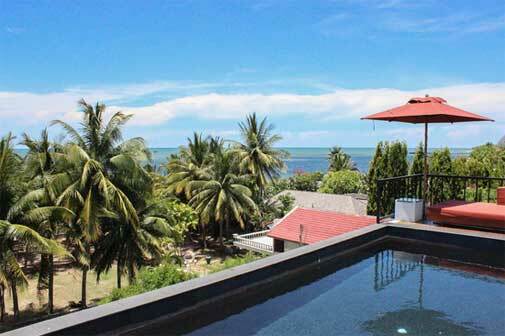 Many say that this is the perfect time to visit the east coast islands of Koh Samui, Koh Phan Ngan, and Koh Tao. From March, temperatures will start to rise (avg daily temp: 29°C – 35°C), usually reaching peak levels in April and May. While initially, rainfall remains unlikely, by June a little rain is expected, usually in the form of an hour-long afternoon downpour, clearing the way for more blue skies and bright sunshine. In late-August/September, the monsoon is expected, bringing with it plenty of rainfall and a rise in humidity. Temperatures are still in the 30ºC’s however, and you can expect sunny spells interspersed with rainy periods. Rainfall usually peaks between October and November. Despite being on the Gulf of Thailand coastline, Hua Hin & Cha Am experience slightly different rain patterns with severe rain only occurring in September and October. 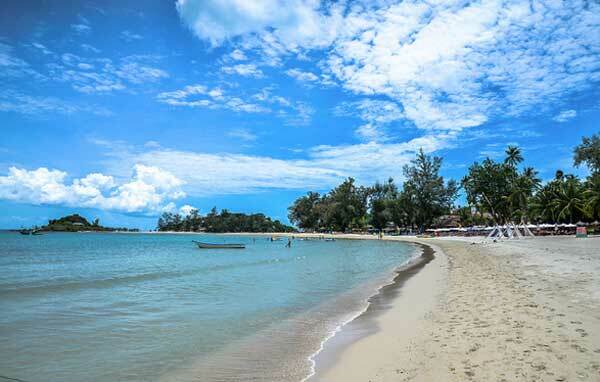 Another slight anomaly is the islands of Koh Chang and Koh Kood that sit on the eastern side of the Gulf of Thailand and experience similar weather patterns to the beaches along the Andaman Sea coast with wet season occurring between May and October. 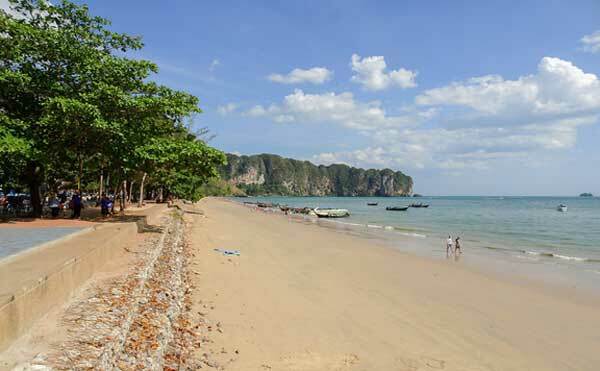 Thailand’s west coast has three defined seasons. From November to March, many consider conditions to be at their best with a cooling wind keeping the sky-high summer temperatures at bay and making the daytime more comfortable (average daily temperatures: 26 C to 32 C). Thanks to the breeze, the humidity levels are lower than later in the year. This is Phuket, Krabi and the neighbouring at their best. From March through to May the temperatures rise (average daily temperatures: 30 C to 36 C) as the cooling winds depart and the humidity increases. Come late May, the monsoonal weather will usually have arrived, which is expected to last through to October. Peak rainfall levels are generally experienced between mid-September and mid-October. Outside of these months, the rain will often come in a short, torrential downpour, typically in the afternoon. Khao Sok National Park in southern Thailand follows the same weather patterns as the Andaman Sea coastline, experiencing most rainfall between May and October, although being one of the wettest areas of the country, rain showers can be expected year round. The wet season is actually a good time of year to visit the National Park as average temperatures are a comfortable 25 C to 26 C, the rainforest is green & lush, and there is more chance of spotting wildlife.